Welcome to Lumen Christi Catholic School. We are a Catholic co-educational school with more than 550 students in grades 7-12. As a regional school, our students come from five surrounding counties and represent a variety of religious, economic and ethnic backgrounds. We are dedicated to each student’s personal growth and success, and believe this success is contingent on a proper relationship with God, in the person of Jesus Christ, and with one another. Open since 1968, Lumen Christi has an excellent reputation characterized by strong faith, academics, dedicated faculty and staff, a safe environment, involved students and parents, and successful alumni. We are excited about providing hundreds of young people the spiritual and academic formation necessary to become fully who they are created to be, and prepare them for their roles as leaders in our community and our world. If you are looking for a place where your son or daughter can experience rigorous academics, spiritual growth and expansive extracurricular offerings in a safe and caring environment, look to Lumen Christi Catholic School. 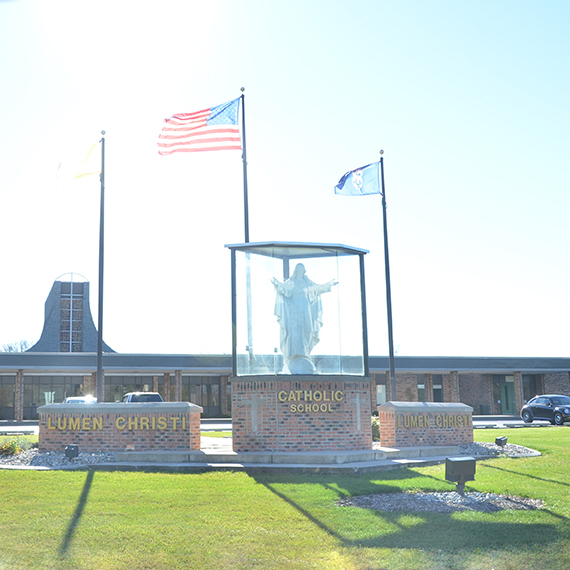 Lumen Christi Catholic School educates students of all faiths in a safe, nurturing Christ-centered environment. 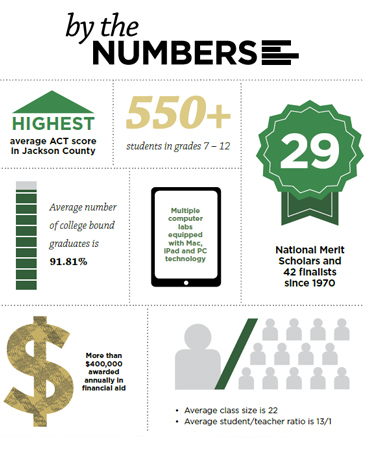 At Lumen Christi, we offer a rigorous curriculum with high expectations for our students. We strive to provide programs that enable all of our students to succeed, including Advanced Placement and college dual enrollment opportunities. All students in grades 9-12 are required to read a specific number of books and pass a test on each one in order to receive a diploma. Our library features more than 10,000 books, multiple computer labs with digital platform learning, and career and college resources. We also offer one of the first high school Human Physiology Labs in the Midwest to enhance our curriculum related to science, technology, engineering and math. Through our Catholic education centered in the light of Christ, students are challenged with the formation of the whole person. Our prayer is that they may be filled with His grace so that they may feed others His light through generations to come. Our Campus Ministry program is designed to help students grow in their journey toward a wholesome and holy life. The program includes school Masses, reconciliation, eucharistic adoration, Kairos retreats for upperclassmen, Tenui retreats for underclassmen, in-school retreats, Hunger Week, parish vocation days and more. In addition to these opportunities, each student is required to complete 15 hours per year of Christian services. Our goal is to develop the whole person. Therefore, we encourage our students to be involved in activities to help them develop their talents and interests while learning valuable life lessons such as service, teamwork and sportsmanship. 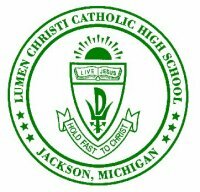 Lumen Christi’s wide range of clubs and extracurricular offerings include opportunities for every interest, from music and drama, to chess and QuizBusters, to student council and National Honor Society. We also offer a very successful athletic program for boys and girls with 44 state championship titles and many offerings each season including baseball and softball, hockey, volleyball, basketball, tennis, cross country, track and field, football, cheerleading, wrestling, golf, gymnastics, soccer, swimming and bowling.